The importance of Local and Hyperlocal promotions is increasing day by day. Today, Local results are viewed millions of times a day with 20% of searches on Google being local in nature and 64% of the searchers on the net looking for results within 15 miles. Further, Hyperlocal sites such as Foursquare have more than half a million users, 1.4 million venues and 15.5 million check-ins, and they are still growing. This is a large piece of the market that has yet to be captured by many hotels. Need more reasons to convince you of the importance of Local and Hyperlocal promotions and why you should be involved? 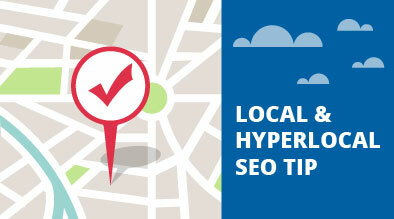 Here is why: Local and Hyperlocal promotions help build relevance in organic SERP results and local search results. These Local and Hyperlocal promotions drive a lot of quality traffic to your site as well as give you prominence on the results pages and a bigger chance to dominate search results by capturing considerable long-tail local search traffic. The Hospitality and lodging industry can leverage from Local and Hyperlocal promotions by generating new customers, rewarding customer loyalty, engaging users in conversations, promoting specials and discounts as well as connecting residents of a particular area with highly targeted and locally relevant content that they are looking for. Monitor your place page regularly and monitor user analytics. Post a check-in message and monitor user analytics . All in all, having a Local and Hyperlocal presence is crucial today not only because it helps the hotels stay connected with their target customers and generate new customers, but also from an SEO point of view because of the strong impact that Local and Hyperlocal have in building Organic relevance.